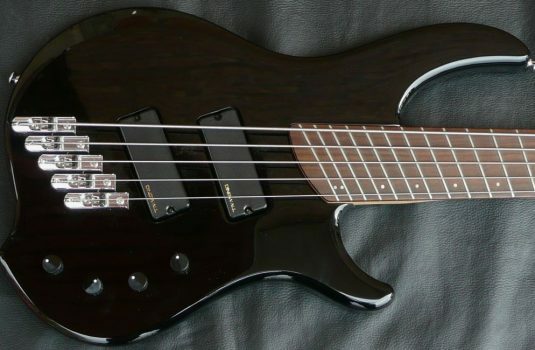 New from Alex Watson, we have received a pair of very similar SingleCut fretted 5s, (This one is the official first ever SC). 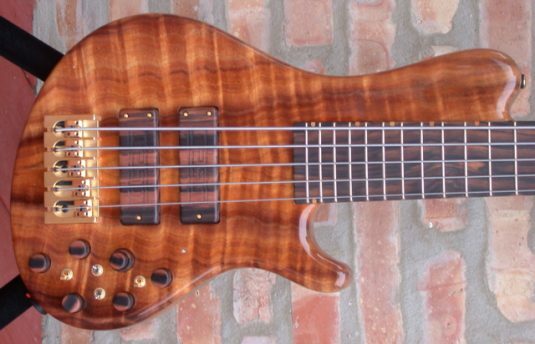 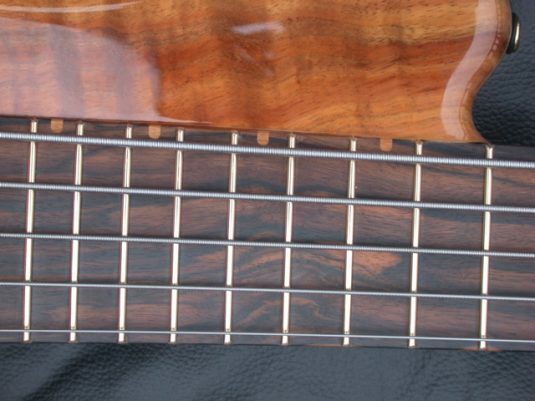 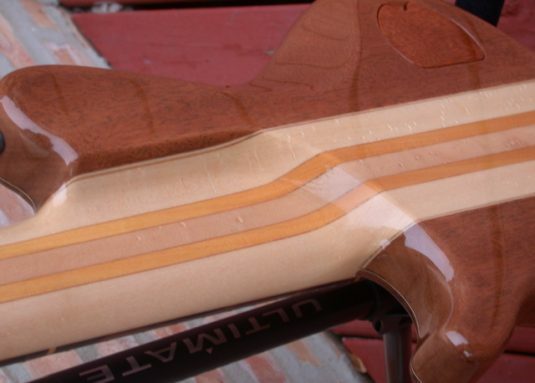 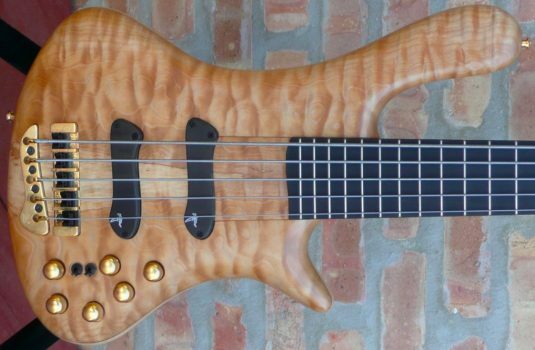 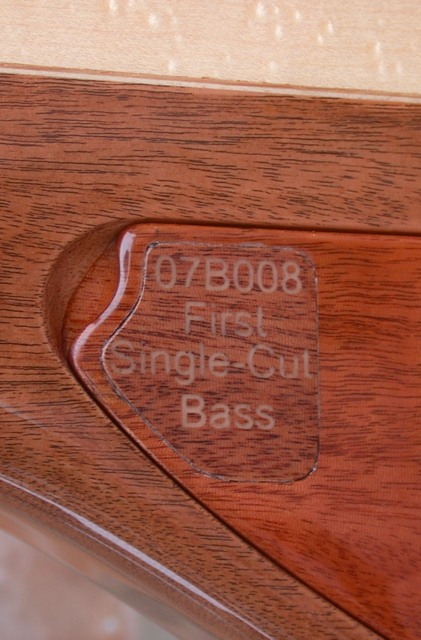 This bass has some very highly figured Koa over a Mahogany body. 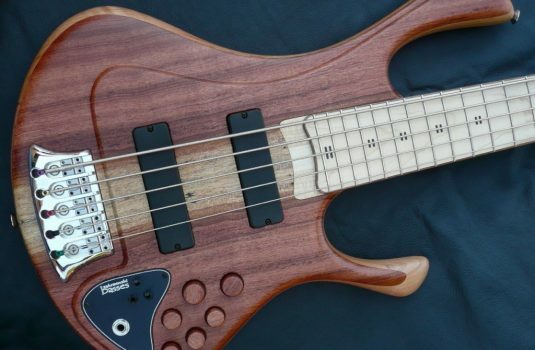 Dig that top ! 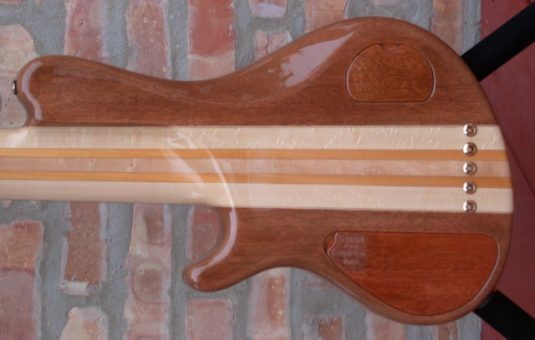 The 34″ scale neck is primarily Maple with Osage Orange and Koa stringers. 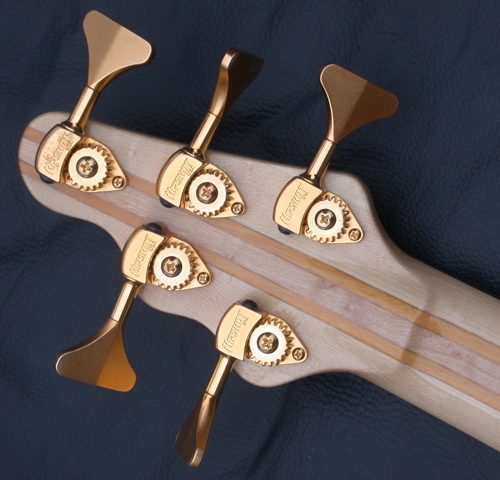 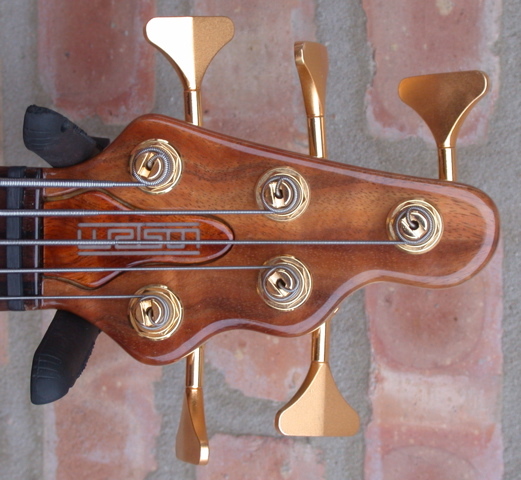 Watson basses employ a dual action truss rod and 2 carbon fibre bars for additional stability. The fretboard is Macasaar Ebony, as are the control knobs and pickups covers. 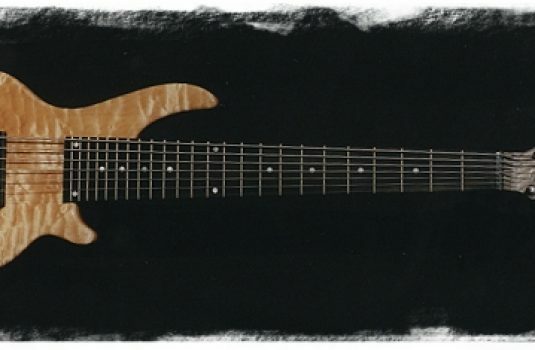 The pickups are dual coils by Carey Nordstrand, each switchable to single or dual coil operation. The preamp is the Audere 4 band with the active/passive and “Z” mode. 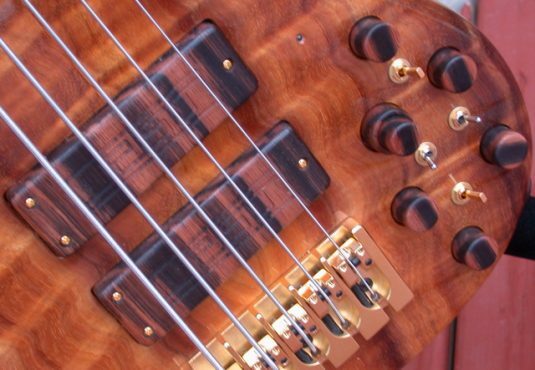 This bass is loaded with possibilities.